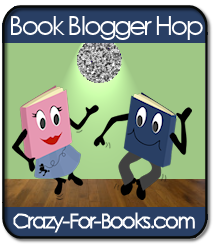 It’s Friday that means it’s blog hop time. This weeks question is What’s the ONE GENRE that you wish you could get into, but just can’t? I don’t really have a genre I would want to be able to read but don’t, I read most genres and every genre I want to. I don’t feel I’m missing out. If you’re visiting from the hop hia! This week I’m holding a Harry Potter week here on Lucybird’s Book Blog. I hope you’ll have a look through the various posts I’ve made, and feel free to enter my big giveaway. I think the only genres I don’t read are ones I don’t want to get into anyway. It a very limited list though. Since last week’s pie chart about where I get my books was so popular, I thought I’d share what types of books I do read. Please stop by to see which genres I don’t typically read.